Plastic crab hair decorated with two Orchid flowers. The decoration with flowers is a trendy accessory to create a unique and original image. 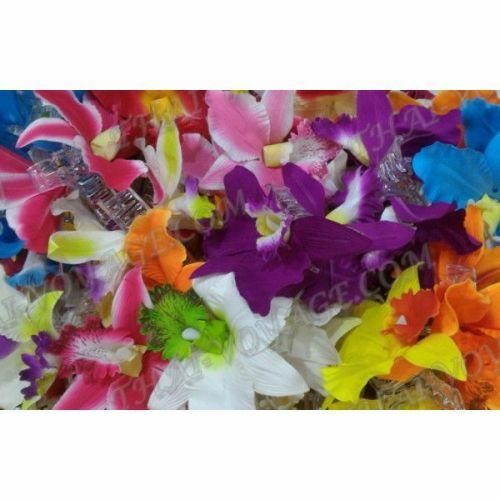 Stylish barrette of the colors will be the finishing touch beautiful romantic image and will decorate your hairstyle. Specify in order comments color desired hair clips.